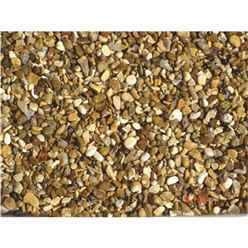 Gravel is an extremely versatile and attractive covering that can be used in your garden. 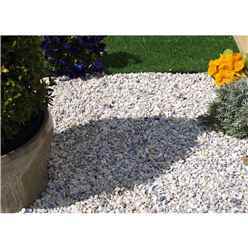 However, gravel can be difficult to choose because it is often a challenge to effectively visualise the gravel in your space. 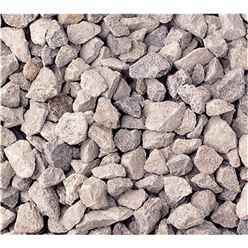 We have a wide selection of gravel choices for you to consider, and they are all attractive as well as very effective at covering well. 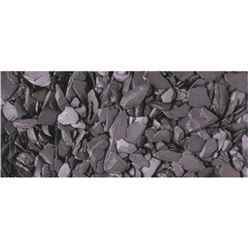 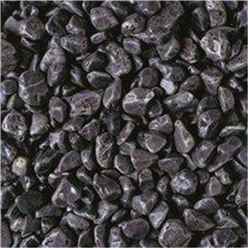 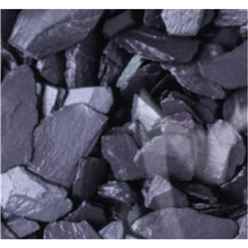 Take a look at the gravel choices on this page, then think about what you are trying to achieve with your particular area, and we are certain that one of these gravel types will fill that space well and give you years of enjoyment. 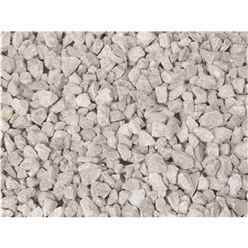 Our Deco-Pak White limestone gravel is one of the top sellers. 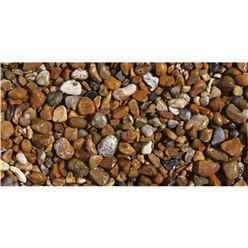 This is simply because it can effectively be laid anywhere and have a positive impact on the view. 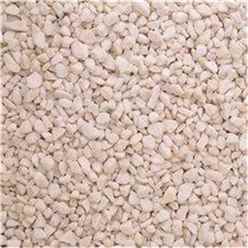 It is very attractive gravel, and if you are looking at a space that needs covering quickly and effectively, this gravel is a perfect solution. 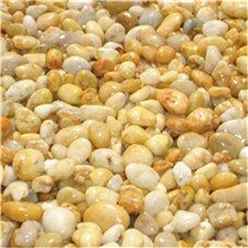 The gravel is available in a bulk bag of 850 kg. This is more than enough to help you get started transforming your space. 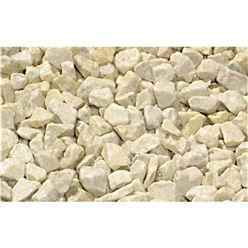 A perfect solution for most gardens, this white limestone gravel is an attractive choice. 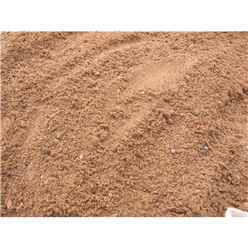 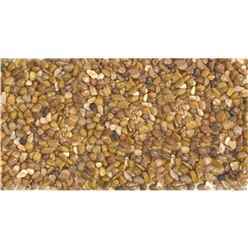 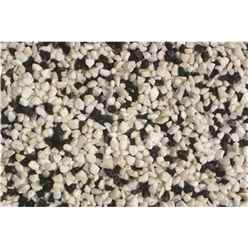 Our 10 mm pea gravel is also popular. 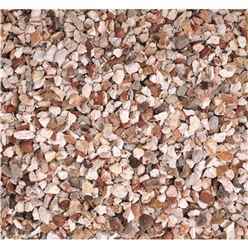 Small and perfectly formed, it can be used to cover any area, and the attractive nature of the gravel means that it usually fits in with most décor schemes. 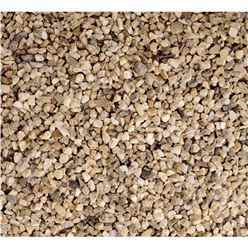 It’s also very hard wearing, and once you have laid this gravel in your garden or somewhere around your patio area, or front of the building, it will last for years. 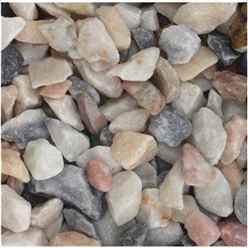 With different shades of attractive colours running throughout the gravel, you also have a very eye-catching and striking amount of gravel that is sure to bring comments from visiting friends and family. 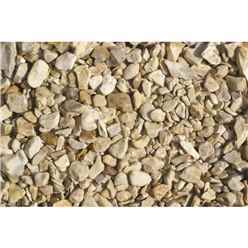 Our 20 mm white limestone gravel is another great option for anyone who wants to make an impact with their gravel. 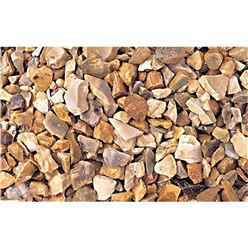 A little thicker and bigger than the usual size of gravel that you may be used to, it allows for a stronger coverage. 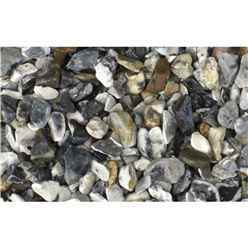 In addition, the colour and style of the gravel means that it is versatile enough to be laid in most gardens. 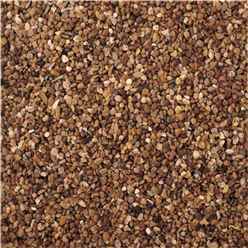 You can usually cover 10 m² with your 850 kg bulk bag. 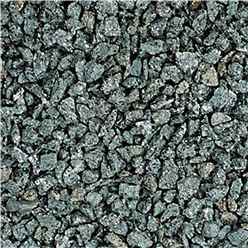 This means that you get quite a lot of coverage as well, even though the individual gravel pieces are quite big. 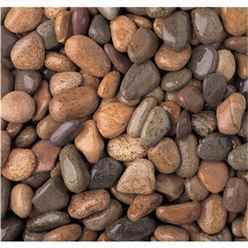 This is an excellent choice for anyone who wants gravel that can blend in to the surroundings, but also be strong and durable enough to last for longer. 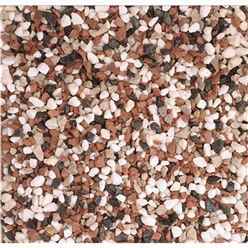 Our Cheshire pink gravel is a unique gravel that will make an immediate visual impact. 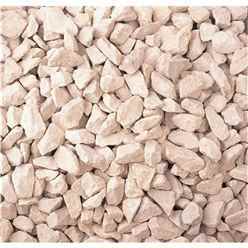 With various tones of attractive pink running throughout, this gravel comes in a 850 kg bulk bag. 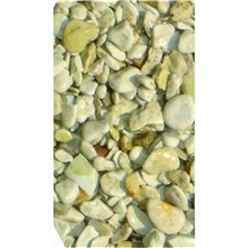 You can expect to cover 10 m² up to 5 cm in depth with this particular bag. 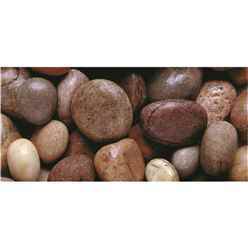 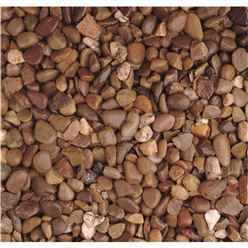 This is a very attractive gravel, and different to what people normally use in their gardens. 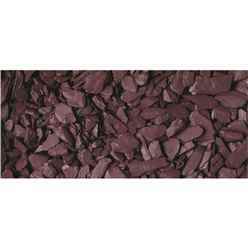 The colour is striking and eye-catching, and it can be used alongside plants with similar colours to really make an excellent job of presentation. 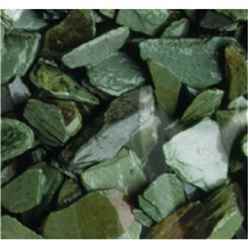 If you want a truly distinctive look for your garden, try the green slate gravel. 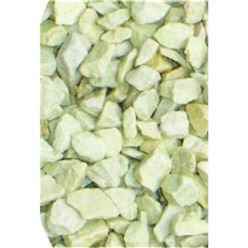 This gravel is a lovely green colour, and it brings a distinctive and eye-catching appeal. 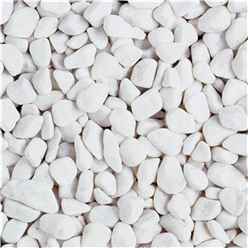 Coming in 850 kg bags, you can easily expect to cover 10 m². With that coverage you can expect a depth of around 5 cm. 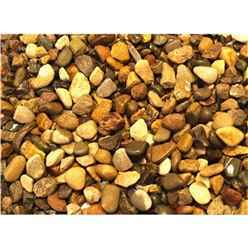 The gravel itself is 20 mm. 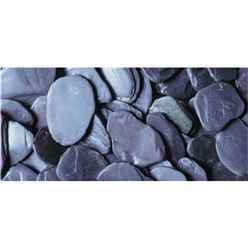 Its eye-catching and attractive, and it will bring a striking visual appeal to your garden with immediate effect. 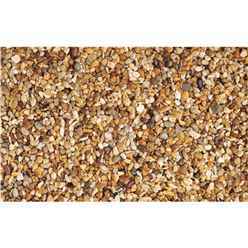 If you want to try something different, this is the gravel for you. 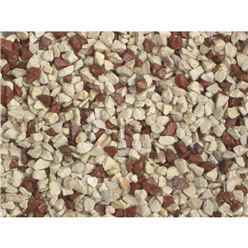 Finally, we have the red flame gravel. 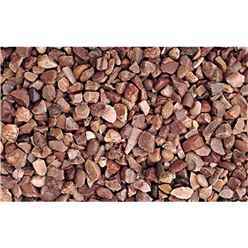 This is a beautifully red gravel that brings an immediately attractive outlook to your garden. 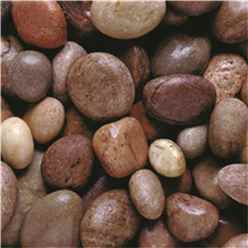 It can be paired up with plants that have red leaves or a general red look. 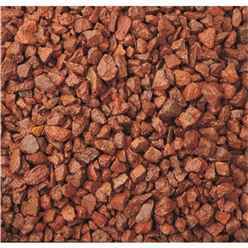 Perfect near foliage and shrubs that are rather dark in colour, this red flame gravel is a unique and exciting addition to any garden. 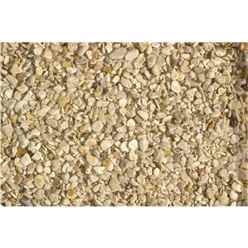 Is easy to lay, and comes in 850 kg bags. 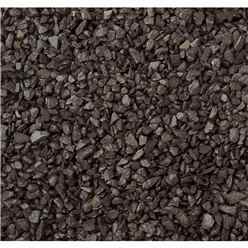 Each 850 kg bag could easily cover 10 m². 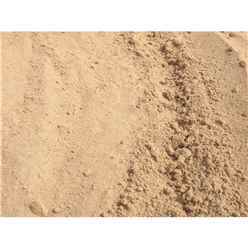 This means you get excellent coverage down to 5 cm in depth. 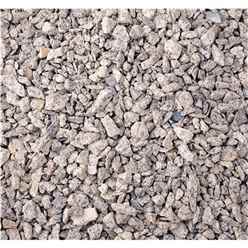 Laying gravel in your garden is an excellent idea, mainly because it is a versatile covering that covers a large area in an attractive way. 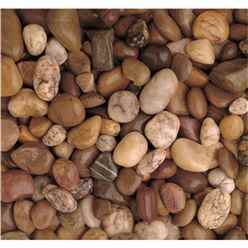 Take a look at the gravel types on this page, and think about what your garden needs. 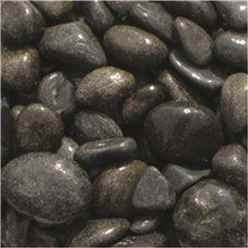 You’re sure to find the right solution amongst this collection.